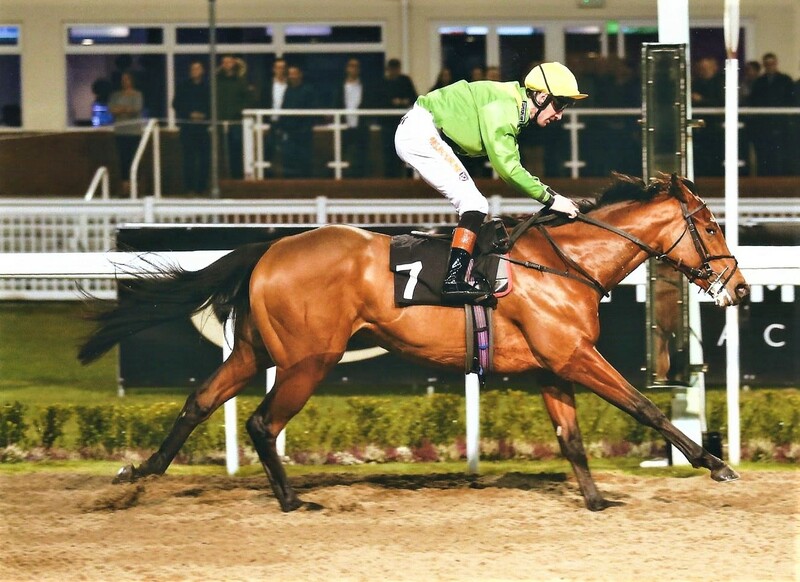 We had three runners throughout Friday & Saturday last weekend, two of which were welcome winners after hitting the crossbar a few times just lately. Swissal provided our first victory when he made the long journey to Chalmsford City worthwhile by landing the Bet toteexacta At betfred.com Nursery Handicap over 6f under Dougie Costello for owners Tyre Hill Farm Ltd. Swissal has been showing plenty of progression throughout all of his seven starts this season & deserved to finally get his head in front. Always travelling handily, Swissal was taken to the front by Costello with around a furlong left to run & stayed on well all the way to the line to win by a decisive 1 1/4 lengths. 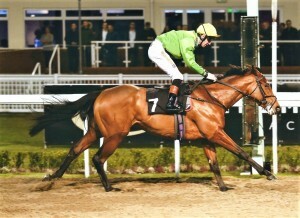 Above: Swissal wins under the floodlights at Chelmsford City. 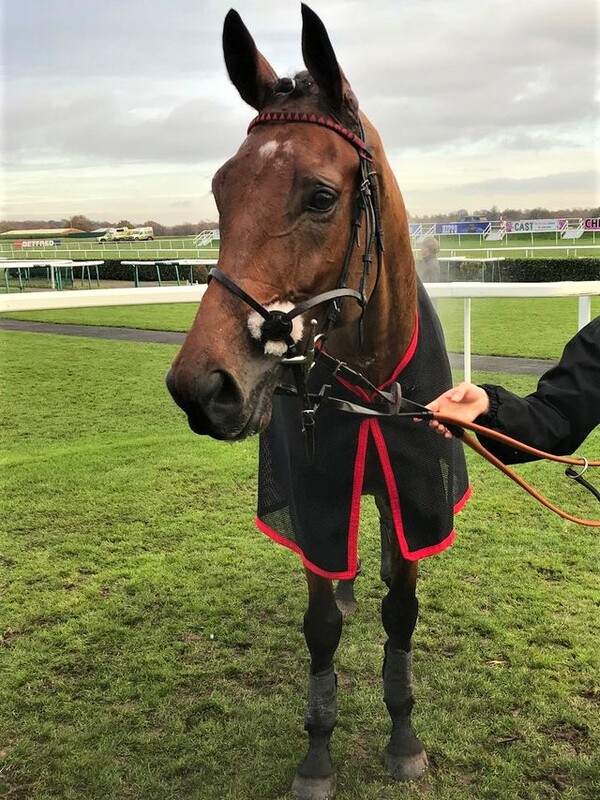 Our second winner of the weekend was Deauville Dancer who journeyed up to Doncaster for the Yorkshire track’s feature race the Betfred Supports Jack Berry House Chase. Having been content to sit behind the leader early on, Deauville Dancer under Leighton Aspell cruised into the top spot four fences from home to come home 13 lengths clear of the runner-up & coast easily up the straight to land the spoils in impressive style. This was Deauville Dancer’s third win in a row over fences & his fifth victory since May proving him to be a very consistent individual with plenty of talent. We are now very excited to see where he will go next. Above: Deauville Dancer looking pleased with himself following his latest win at Doncaster.